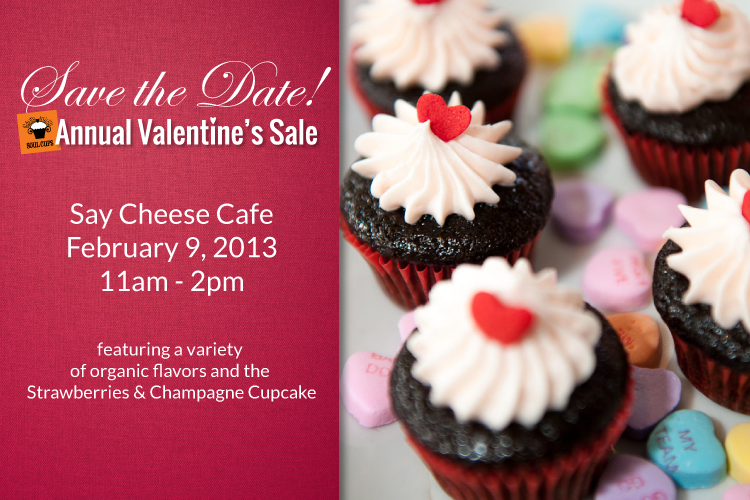 Save the Date for Soul Cups’ Annual Valentine’s Sale. We will offer a variety of organica flavors, featuring the Strawberries & Champagne Cupcake. Sugar & Spice and lots of things nice!